The amount of data processed by retailers is staggering. From names, phone numbers, addresses and credit card information, retailers gather huge quantities of information about their customers, which is stored to facilitate future purchases, and so that customers may receive promotional information. Naturally, it’s imperative that this data be protected from cyber threats. Recent attacks on the data systems of Target, eBay and others have made this clear. However, equally important is the task of protecting the physical location of the data storage. 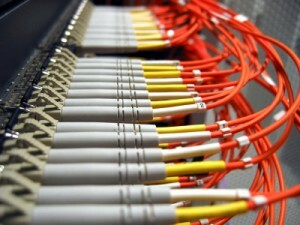 Data centers are as much of a target for physical threats as for virtual ones. Access control technology is necessary to protect data centers from physical attacks which could put massive quantities of data in bad hands. Access control technology is simplifying physical access control for data centers to make it more efficient and more effective. Electromechanical locks that utilize RFID cards and unique pin codes for individual employees accomplish several key goals. First, they eliminate the problems that arise when keys are inevitably lost for purely mechanical locks. In addition, the use of an overarching electromechanical management system allows an administrator to oversee access points and use of the facility. Unique pin codes allow the administrator to see who exactly is using what access points at what time, which will allow any suspicious inconsistencies to be made clear. Integration with other security systems in the facility such as IP video surveillance take the abilities of the administrator to another level, allowing complete control and real-time monitoring of the facilities access control points. Access control for physical security of retail data is also regulated by the state, and non-compliance can mean penalties. An example of this is the Payment Card Industry Data Security Standard, also known by the acronym (PCI DSS), which regulates the requirements for protecting credit card information held by retailers. “PICU DSS includes standards for tracking and monitoring access to network resources and cardholder data, which includes server cabinets that house this information…Electronic access solutions can be used to reduce the risk of non-compliance with PCI DSS due to the audit trail capabilities they provide,” according to Security Today. This entry was posted on Thursday, July 10th, 2014 at 4:17 pm. Both comments and pings are currently closed.